An Australian brand setup with the vision of creating the most high performing luxurious range of haircare products available. 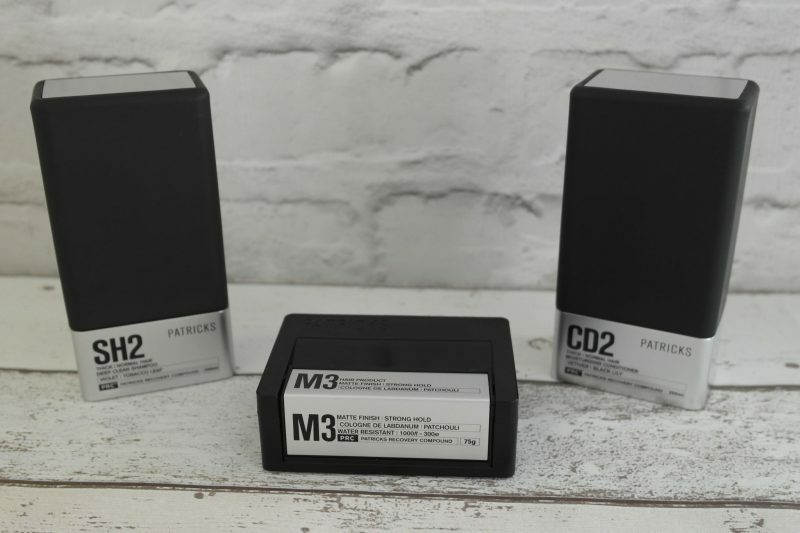 The packaging is very unique and like no other available on the market. Each product has its own luxurious scent. Although I would say its hard to recognise from just smelling the product alone. The scent only comes to life once you’ve worked the product up a bit! The products in the range were developed by a formulation company in the USA with an open budget to produce the best performing hair products. Also included in the products, is the Patricks recovery compound (saw palmetto, red cover, sage & something called acetyl tetrapeptide 3) which help to target hair loss, hair growth and scalp health. Have you ever found yourself having to shampoo your hair more than once because of stubborn hair products or your hair just doesn’t feel clean enough? 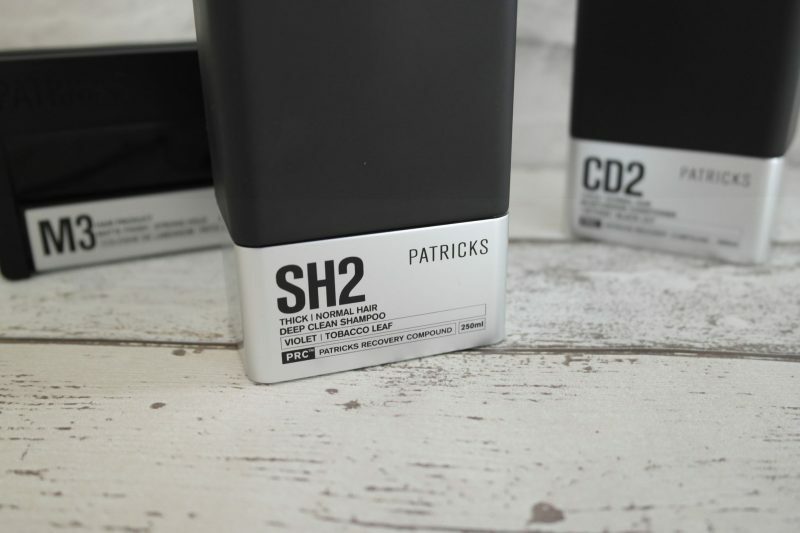 The SH2 shampoo cuts through daily grime, excess oil and even the most stubborn of hair products. It’s classically fragranced with vetiver and baltic amber and tobacco leaf which gets more intense as you work into a foamy lather. I found around a 10p sized is about the right amount per wash for shorter hair styles like mine, to leave hair feeling fresh and clean. A thick and creamy conditioner that helps to repair and protect hair. Its fragranced with vetiver and black lily. 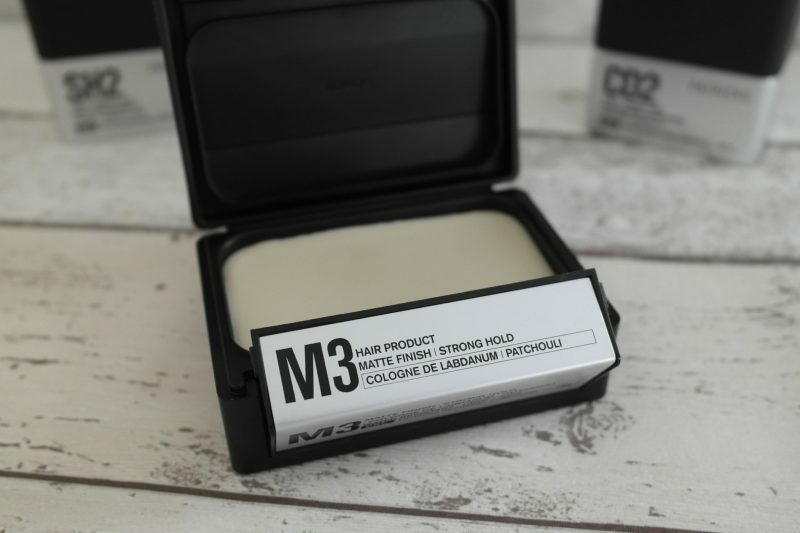 Out of all the products, the CD2 conditioner has a more prominent scent, which happens to be my favourite too! It’s formulated to nourish hair and scalp, but also to stimulate blood circulation! Like the shampoo, I found about a 10p sized amount is about right for each use. It does leave your hair feeling thicker and smelling great! A matt finish product but with a strong hold and the addition of water and sweat resistant technology. On paper this sounds like a really good hair product, but just how does it fair? At first I couldn’t even open it! I wonder how many others have struggled to open it, before working out it opens like a case?! This is a matt finish clay with a strong hold short normal or thick hair. The finish can resist water and sweat making it ideal if you play sport or do a lot of exercise. There’s some nice little attention to detail bits, like the inside corners rounded to the size of a guy’s fingertip to make getting the product out easier! The price is a bit of sticking point for me, I’m not sure I could justify spending nearly £40 on a single styling product! 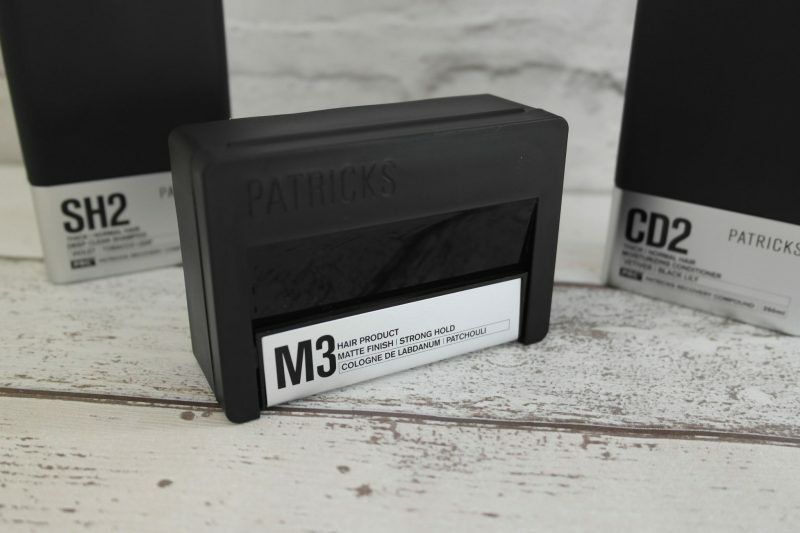 If you’re looking top end, luxury hair care products, the Patricks range could have some products for you. They’re available to purchase from Harrods priced from £26. 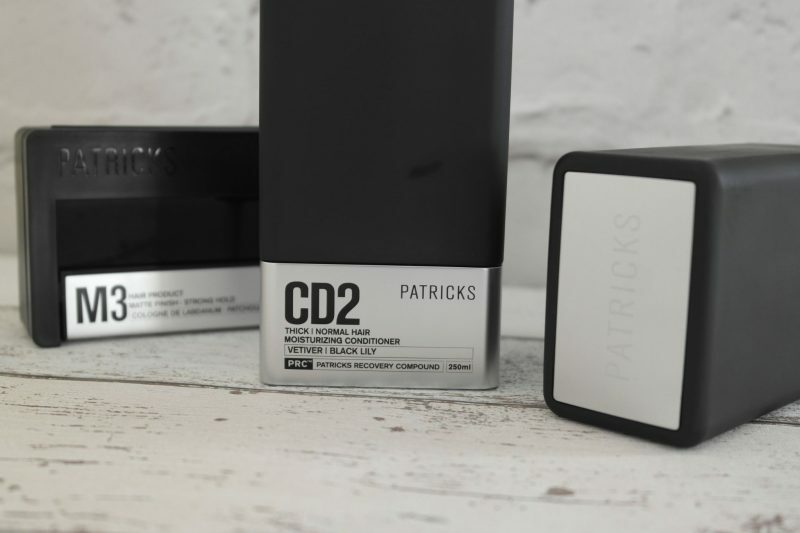 Have you tried any of the products in the Patricks range? I’d love to hear what you thought of them. Thanks so much for the review man, hugely appreciated. Stoked you like the products, I put about 8 years into that ha! 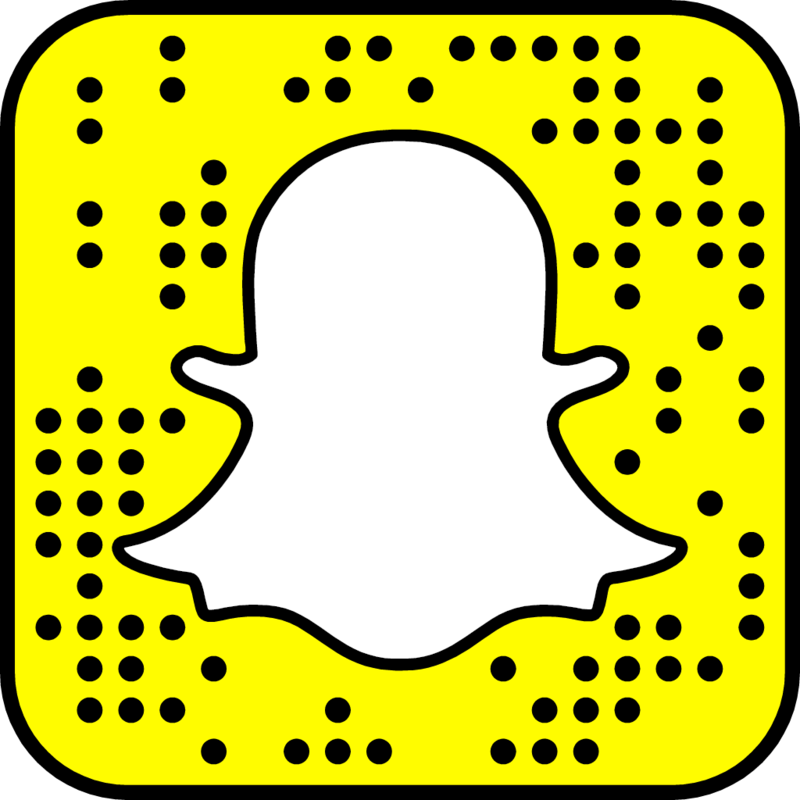 Let me know if you are in London next week and we’ll get a drink or something or if you are ever in Bondi hit me up! Thanks for your comments their greatly appreciated! G;ad you liked the review, you can tell how much work has gone into the products! 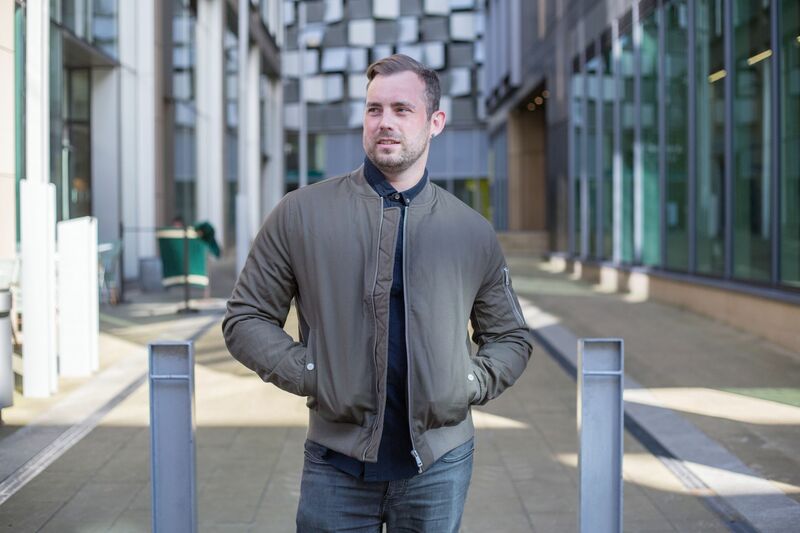 I dont get to venture to London all that often being a Northerner… I’ll let you know if I’m ever that way!